I love to display my photographs, books, vases and other knick knacks on shelves. 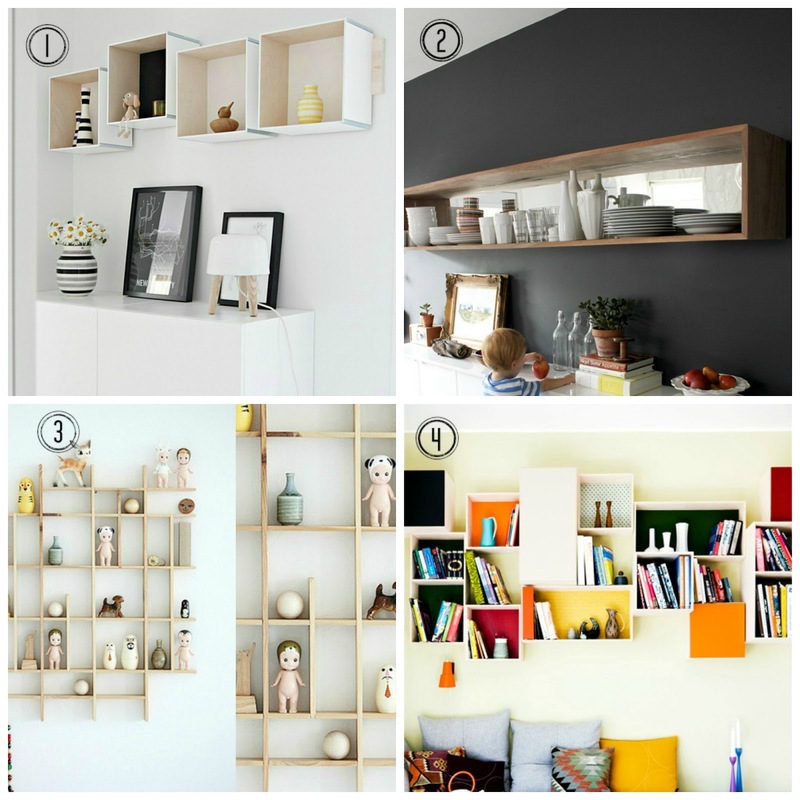 Every room could use some kind of display. 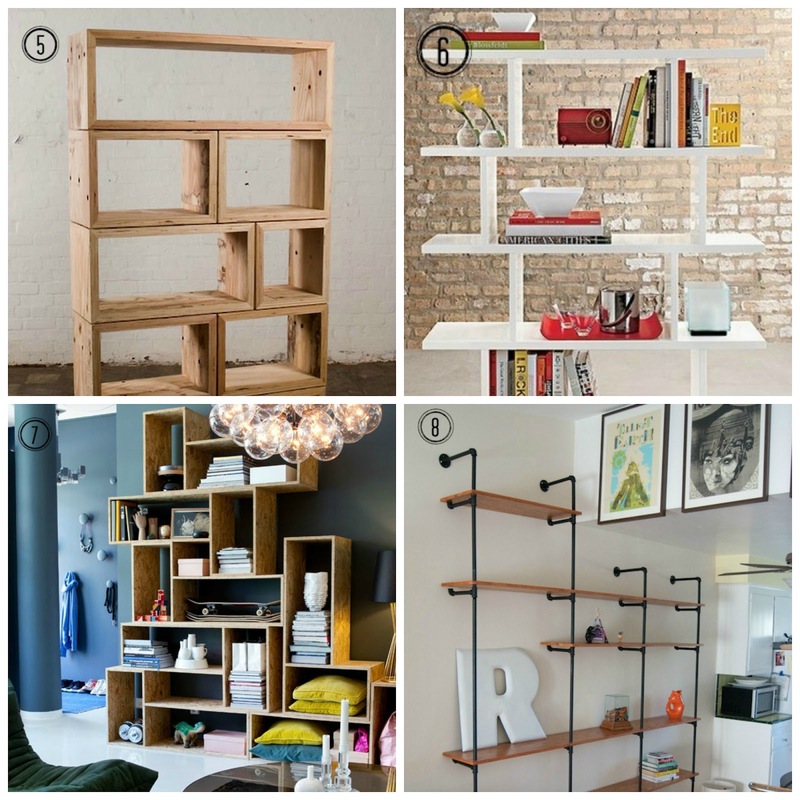 Here is a list of the top 8 DIY shelving I have found online. Some have sources and links, others you could probably whip up with no instruction. Yes, some look that easy. 1. Nordic Leaves easy to assemble Ikea hack. 2. Simple enough frame box with mirror insert. I'd wallpaper or do a gold or silver leaf applique for a cheaper DIY. 3. These would be so sweet in a kid's room. 4. Different sized boxes, painted. You can also use scrapbook paper as an inexpensive background that can be switched out as you please. 5. I like the design of these manly looking shelves. 6. Via Apartment Therapy, DIY. 7. You could use wine boxes to get a similar look. Just secure to wall to avoid a disaster. 8. Via Grizzly Bear Modern. Step by step instructions. This would make an amazing wall in closet. I'd like to make one soon. Maybe I could tackle one, I can't even make up my mind I love them all. I think #6 is my favourite.